Pain at the tips of your toes could be from hammertoe deformity. Read on to learn more about this condition and how it can be managed. We see a lot of patients who have pain in the tips of their toes. Often this is due to one of a few things. #1-pain may be caused from hammertoe deformity. This type of deformity, especially when rigid, places pressure on the tips of the toes. This can be made worse when walking barefoot or in shoes with minimal padding. The nerves can become inflammed causing pain and you can also develop hard callused skin which put EVEN MORE pressure on the toe tips. 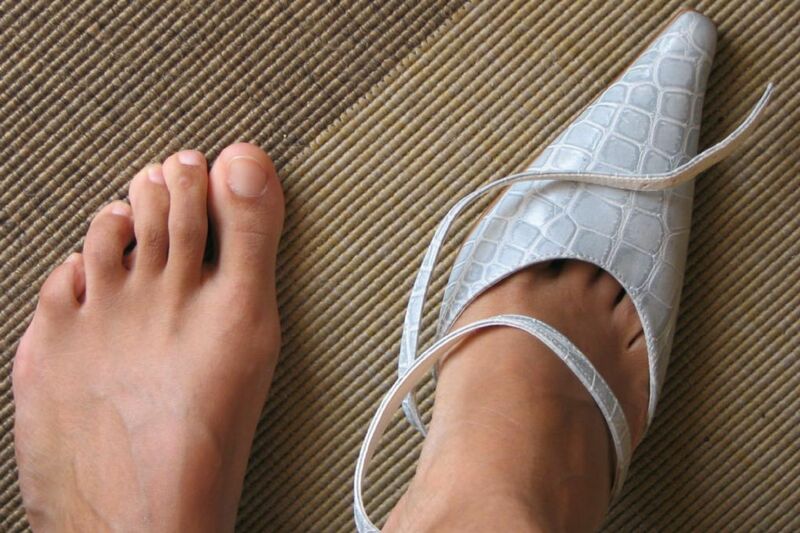 The #2 reason for tip toe pain may be that you are simply wearing the wrong size shoes. Either way, a quick visit to our office can offer you many options to manage the pain in your toes. Schedule an appointment today to see what can be done to improve the pain in your tippy toes!